Brass Industrial Serial Plates, measuring 50mm x 50mm x 1.00mm and supplied with bur-free straight edges, ideal for adding your company details to any equipment you may supply and install. 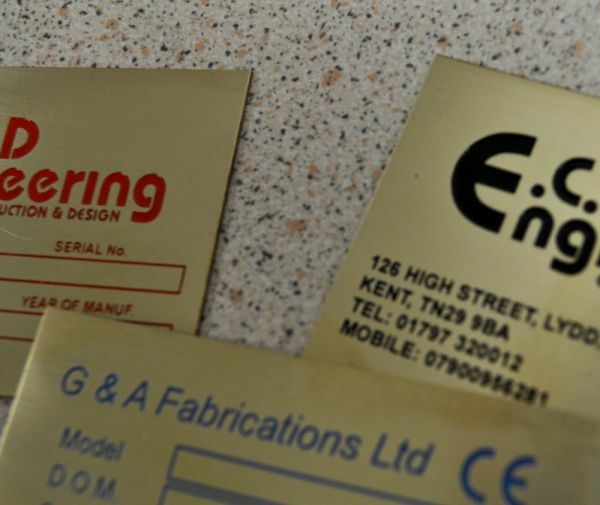 Plates will be etched to your exact details and can include blank spaces for additional data or if this information is known in advance, Brunel Engraving can include this variable data during the etching process. 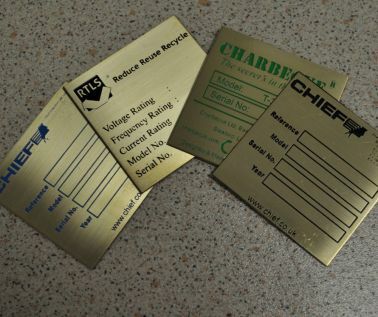 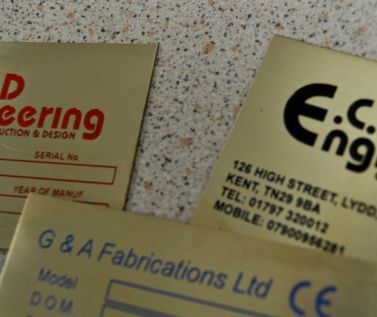 Brass Serial Plates can be supplied with 2 or 4 x 3mm fixing holes, self-adhesive or without any fixings.